Portable VLC media player is the popular VLC media player created as a portable app. Portable VLC media player is one of the most popular VLC media player created as a portable app, so you can take your audio and video files along with everything you need to play them on the go. 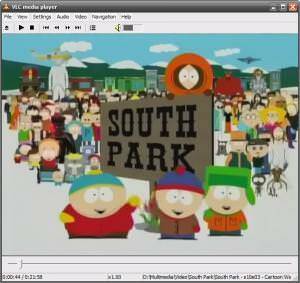 VLC media player is a highly portable multimedia player for various audio and video formats (MPEG-1, MPEG-2, MPEG-4, DivX, XviD, WMV, mp3, ogg, ...) as well as DVDs, VCDs, and various streaming protocols. Portable VLC Media Player can also be used as a server to stream in unicast or multicast in IPv4 or IPv6 on a high-bandwidth network. If you need more information please contact the developers of Portable VLC Media Player (VideoLAN Project Team), or check out their product website.